Private Getaway - 1606m2, Pool + Shed - NOW SOLD!!! Description: This exceptional 'Fiteni' built home sprawled across a large 1606m2 parcel of land captures the essence of relaxed family luxury to provide the perfect escape and deliver the lifestyle you've been craving! The flowing floor plan with multiple living areas opens to reveal spectacular outdoor entertaining, lush private grounds and a beautiful freshwater, solar heated pool. In addition to all that this breathtaking property offers there's also a 15m x 7.5m (3m high roller door) powered shed providing excellent work facilities and superb accommodation for all your toys! Located approximately 40 minutes from Brisbane's CBD and just 5 minutes from a bus interchange (express city buses etc. 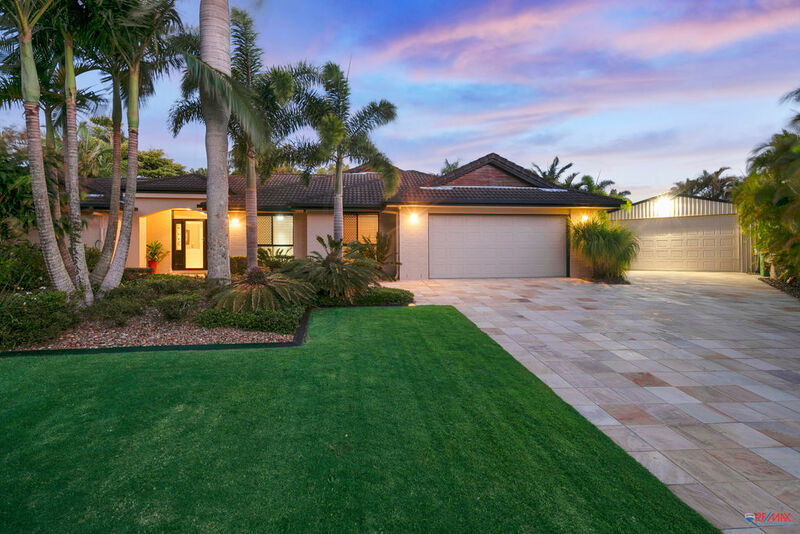 ), an excellent selection of schools (private & state), medical facilities, child care services, sporting grounds, sporting clubs, shopping centres, cafes, cinemas and a thriving hub of lakeside restaurants. Victoria Point also boasts sandy beaches, foreshore parks and walkways. Contact RE/MAX Bayside Properties Today!!! Email RE/MAX Bayside Properties Now!